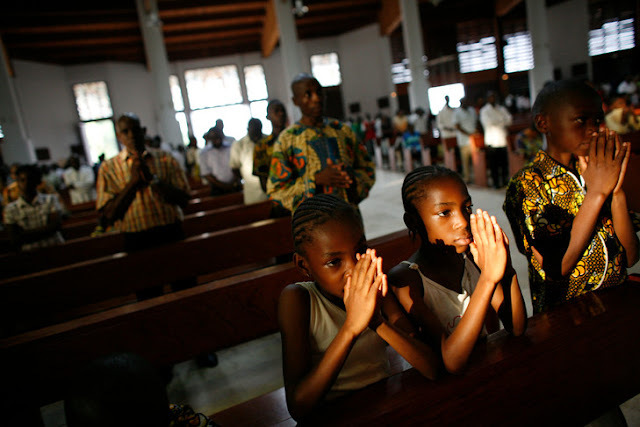 Yaoundé (Agenzia Fides) - A seminarian was killed in one of the two English-speaking regions of Cameroon. According to a statement signed by His Exc. Mgr. Cornelius Fontem Esua, Archbishop of Bamenda, the young seminarian was called Gérard Anjiangwe, and was 19 years old, he was killed by a group of soldiers on October 4, in front of the parish church of Santa Teresa of Bamessing, a village near Ndop in Ngo-Ketunjia department, in the northwest of Cameroon. The Archdiocese's statement states that around 9.30 am, at the end of mass, while Gérard Anjiangwe and the faithful "were in front of the church, a military truck arrived from Ndop and stopped at the beginning of the road leading to the church. Some soldiers got out of the vehicle and started shooting. While the faithful took refuge in the sacristy, barring the door, the seminarian prostrated himself on the floor and started to pray the rosary. "The military tried in vain to open the door; then they approached Gerard lying on the floor and ordered him to get up, which he did hesitantly", reports Mgr. Cornelius Fontem Esua. After interrogating him, the soldiers ordered the seminarian to kneel again. "Then they shot him three times in the neck and he died instantly" says the Archbishop. In his statement, Mgr. Cornelius Fontem Esua calls upon all Christians in this moment of sorrow to pray for the soul of Gérard and also for Stephen Akiata and Comfort Akiata, his parents, and his whole family since the seminarian was their only child". The dramatic episode is part of the tensions that preceded and accompanied the presidential elections held on Sunday 7 October in the English-speaking regions of the Country.